Know your chances – When is it Best to Bet on Football? Know your Markets – What Football Bets are the Best to Bet on? Know the Value – Is There a Better Chance than the Bookie Says? Mr Big Win reveals the best football betting systems secrets that you need in order to enjoy success and returns. Make better bets on football in 2019 by following Mr Big Win’s guide below. 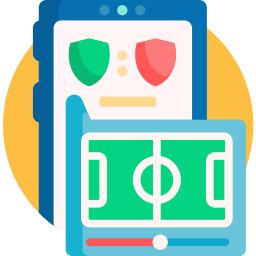 In this article, we cover tactics, knowledge about the game, tips and tricks for value and tools that will keep you in-check in order to be successful at betting on football. Read on because this is our 15 years of experience in one. There are hundreds of bookies out there and many bets flying around. Most tipsters and punters out there will let you have their guesses about who will win a game at the end of 90 minutes. That is OK I guess, but when you’re looking at favourites winning games, that bet is not going to give you the best possible return. Our favourite markets are those that offer you the best profit margins and usually, markets that are underrated by other tipsters. Professional gamblers usually focus on strategy markets. The two primary stages of betting on football markets are Pre-match betting and live in-play betting. Mr Big Win is famous for pre-match betting predictions. This means that predictions are made well in advance of kick-off before the match is actually played. The markets available here are related to the 90 minutes and only contain information and risk based on news that is available before the match starts. The pre-match market is usually the least profitable unless there is a huge and favourable piece of news that swings the odds in your favour. The bookies are extremely cunning at pricing events well nowadays and the only opportunities available are when bookies mistakenly mis-price certain markets. This is also the most available prediction method available on sites such as Mr BigWin. You can still earn some good money from placing pre-match bets. Check out our Serie A and Premier League weekly predictions if you like this kind of bets. From the bookies end, this is still, by far, the most popular method of betting by punters. Most of the money on events still comes in pre-match and therefore this is still the most profitable type of sportsbook revenue for them. Second and most interesting in our opinion is in-play live betting. Football is an unpredictable game and things does not always go as planned for both teams and / or the bookies. Live in-play betting allows you to view stats and momentum during the game and make in-play betting decisions based on form during the game. Not all favourites win games and sometimes it is easier to analyse and predict that during a game rather than beforehand. What this type of betting brings is a much better opportunity for return. A betting market is the actual event within the football game you are betting on. 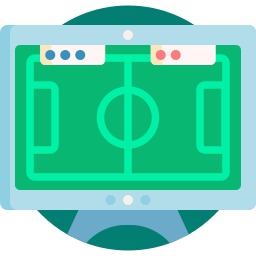 The most common and popular football betting markets are outright betting (betting on the outright result of a game), total goals (the number of goals in the event, restricted by time. i.e full time goals, half time goals) and corners (amount of corners during the game). Correct score predictions turn to a lottery type situation where odds are usually starting in the 5.00+ range. The truth is that bookies may open an unlimited amount of markets and get as fancy as they want. The more traditional betting markets will always retain their popularity and are mostly designed for more experienced gamblers. 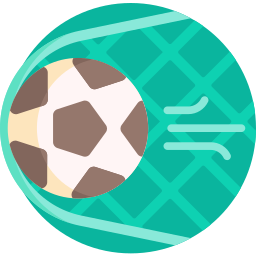 However, even as recently as the World Cup, we have noticed that there are some beginner markets such as total amount of throw-ins, fouls, next throw-in, total goal kicks and total substitutions have been introduced. In reality, this is not sustainable on all events as it would take tonnes of man-power and data for them to safely offer these markets on lower leagues. However it opens up the door to new betting types. Here is a closer look at the most popular betting markets that are still profitable in 2019. The goals market is one of the largest markets in the football betting industry. The markets may range on full time goals total, by team, by half, by 15-minute brackets and by player, by goal type and order of goals by player. As you can see, there are multitudes of variations that can go into betting on goals. The bookies price these events based on form and stat history so in reality, using some of the same tools as the bookies added to your football knowledge will get you a decent return on your stakes. 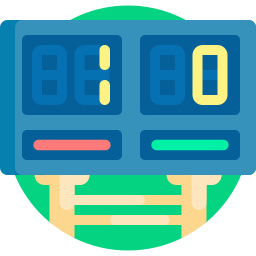 The outright betting market means that you are predicting the outcome of a result of the football game during the 90 minutes of play. Generally you will predict a home win, away win, draw, home or draw and away or draw outcome. This may also filter by time period for example, half time result or full time result). Most of the money to be made here is usually comeback wins if the underdog scores early or on the favourites if they haven’t scored by the 30th minute mark. This is one of my favourite markets personally and it is becoming more difficult for bookies to price well during the event. Which means more money for us punters. As with the markets we have mentioned above, they are usually segmented by totals and time. This market is most fun for us because we believe we have cracked a set of indicators that would lead us to believe that we can predict corner numbers consistently. We will have more about this in due course. When you boil down the things that really matter in successful football betting systems, your only question should be: Do I think there are higher chances of this happening than the bookie? If the answer to that is yes, then you have recognised what we call “value”. Find the implied probability, to make this easy use a calculator such as Ace Odds’ calculator. This will let you know the probability that is being assumed by the bookie when they display their odds. Research team news, 5 game form (home or away) and historical results between the two teams you are assessing. Come up with your implied probability based on step 2. If you are 15-20% or higher than the bookie, then you may have identified value. Once you have made your assumptions, try not to choose the team you support and bet with your heart. Bet with your mind. If you are going to bet on your favourite team because you know them inside out and can make fair judgement, then fine. If not, please avoid. Another tip to ensure you are measuring value and profits well is to treat this like a business. When measuring a risk reward situation in business, you would ask yourself, if I buy something do I think I will get a fair price in return (return could also be a product or service). In raw terms, in the long-run this is getting a fair return for the risk (odds) you are placing your stakes on. One of the biggest downfalls of any punter is the fear of missing out. All successful punters have self-control at the centre of their universe. As with any other decision in life, sometimes a decision to stay out may be as profitable as being on the winning end of a bet. A practical example of this is finding value later on the clock during a live game. You’ve missed out on the “safe period” where your odds made sense, it is now the 35th minute and you’re thinking “Damn, I really wanted to get on this”. The focus should be discipline, if you miss a bet its fine, there will be other opportunities. Any day any time, we would rather miss a bet than make a bad decision. The repercussions of not being disciplined in your betting system is the horror that follows with chasing bets and changing your stakes to try to make up for the profits you missed. In reality, if you miss a bet, rather than losing it, your losses are also piled by losing your initial stake too. This might sound obvious but I would keep my stake any time over losing it. Act this way too. The price of discipline is far lower than the cost of chasing your bets. To start off with choose a deposit amount that is either a one time or a recurring monthly deposit. Once done, you may begin to work out what your stakes will be for the set of bets that you will place. 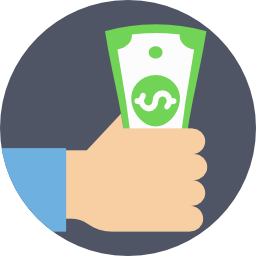 It’s like a budgeting exercise and your success in managing your bankroll will determine how successful you are at your betting system. Once you have the initial deposit, say £200, you can then apply our recommended initial stake value for month 1 of betting. We also recommend that you spend the rest of the month using the same stake and upgrade or downgrade your stake according to your balance at the start of month 2. 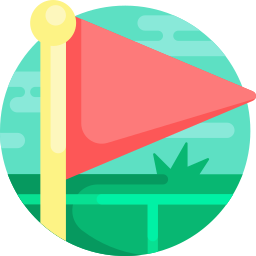 Our initial recommendation is that you place between 5-10% of your initial balance as a stake. In this case £200 x 10% = £20. The £20 will be the value you place on each bet and regardless of the success or loss you will continue to use this amount until the end of the month. If you have a well positioned betting strategy, it is unlikely that you will lose 10 bets in a row so this provides you with continuity knowing that if you lose the next two bets it will only represent 10-20% of your deposit. This helps to keep a level head and allows you to make mistakes or experience bad sports results. Often we see that mismanagement of bankroll is the start of loss making in sports betting. Make this your strong point, not your downfall. Empty promises of secondary income will lead you to gamble irresponsibly. All those stories you hear at the bar of “I’m making side money betting on this” bla bla bla. The reality is that finding a successful system month in and month out is far more difficult than people make it sound. On the other hand though, you can set yourself up for a good run against the bookies. In order for this to be sustainable, ensure that the betting system you are adopting allows you to remain within your loss limits. That is, if you lose your initial stake (likely to happen at some point) would this effect my life in general? If the answer to that is NO, then you are on the right track. If your losses do effect your life for longer than a few minutes (till the burn of a lost bet goes away) then you are not gambling responsibly. From our experience, the amount of money that should be reserved for gambling should be around the 2% mark of your disposable income. Disposable income is the amount of money that is left after you have taken off all your life commitments such as loan repayments, food, family expenses, insurance etc. Whatever is left of this amount is your “disposable income”. Take 2% of this as your indicator. The amount you are left with might be small but that’s a good sign because this is what you can afford to lose and still feel comfortable. We strongly recommend that you take FULL advantage of all the responsible gambling tools available on the market or the bookie you choose. These include, loss limits, deposit limits, duration of gambling limits, reality checks and responsible gambling checks. If you don’t take any of the previous tips we have ever given you, take this as the most important one we have ever handed out. Indeed the road to success and a profitable football betting system is not easy, however we are sure that if you follow our steps above you are placing yourself on the right track to beating the bookie.